In baseball, “chin music” is a 95 mile-per-hour fastball thrown at a hitter’s chin. 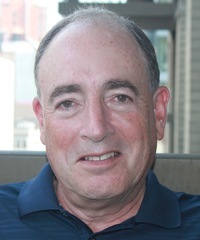 It presents two possibilities—disrupting a batter’s concentration or hitting him in the head. As a metaphor in life, chin music is that split second—a phone call in the middle of the night or a visit to the doctor—when our lives are irrevocably changed and our destinies are forever altered. 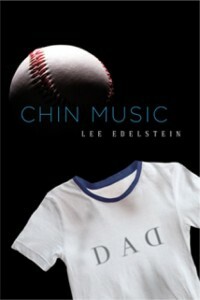 For Lee Edelstein, CHIN MUSIC is the title of his new novel to be released straight into the spring training season in March 2013. CHIN MUSIC is a warm-hearted salute to the game of baseball; the kids who dream of being in the majors; the collectors who hold onto their jerseys, hats, and cards; and a storytelling tradition that springs from the lore surrounding the greatest ballplayer of all – Babe Ruth. CHIN MUSIC is a great story about family, secrets, and the childhood dream of making it in baseball while offering an intriguing plot that begs the question: What if?. Readers who loved The Blindside, The Natural and/or Rudy will enjoy reading CHIN MUSIC—a novel with strong characters that will leave you guessing until the very end.